The possessor of a unique timbre and wide range voice. A voice that sounds beautiful from serious dramatic and deep tones, till bright colorful high notes. All this makes Nadezhda possible to perform various operatic parts written for both the strong soprano and the lyrical and light sopranos (from Dona Elvira to the Queen of the Night). In the repertoire of Nadezhda is Violet's party in La Traviata, Donna Anna and Donna Elvira in Don Juan, Gilda in Rigoletto, Fiorelidzhio in So-So-All, Snow Maiden in Snow Maiden, Countess in Le Nozze di Figaro, Mimi and Muzeta in La Boheme, Oscar "The Masquerade", Martha in the "Tsar's Bride", Antonida in "Life for the Tsar", Adele in "The Flying Mouse", Lucia "Lucia di Lammermoor", Queen of the Night in "The Magic Flute" etc. Nadezhda acts on the world stage as an opera and concert-chamber singer. 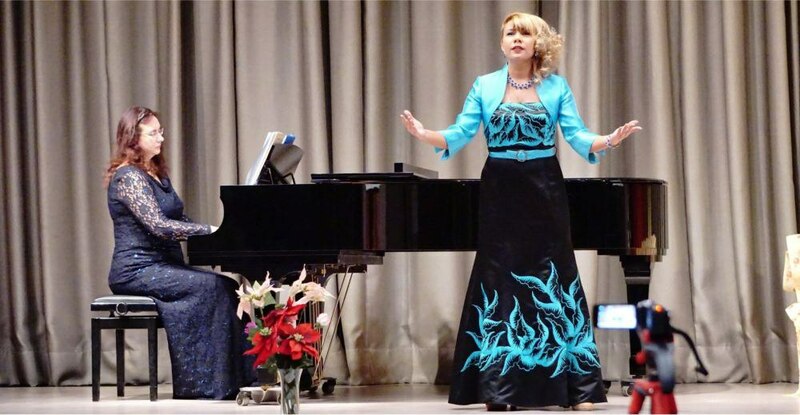 In the repertoire of Nadezhda Kolesnikova, technically complicated Gliere's concert, written for the coloratura soprano and orchestra, which singer has repeatedly performed at concert venues in Italy and Germany. Maestro Kitaenko "appreciated" R.Gliere concert performed by Nadezhda Kolesnikova . Performances of the singer are accepted by the public in different parts of the world. Nadezhda is loved not only for her singing skils , but she is also wonderful actress who literally gets inside of the image of each character. 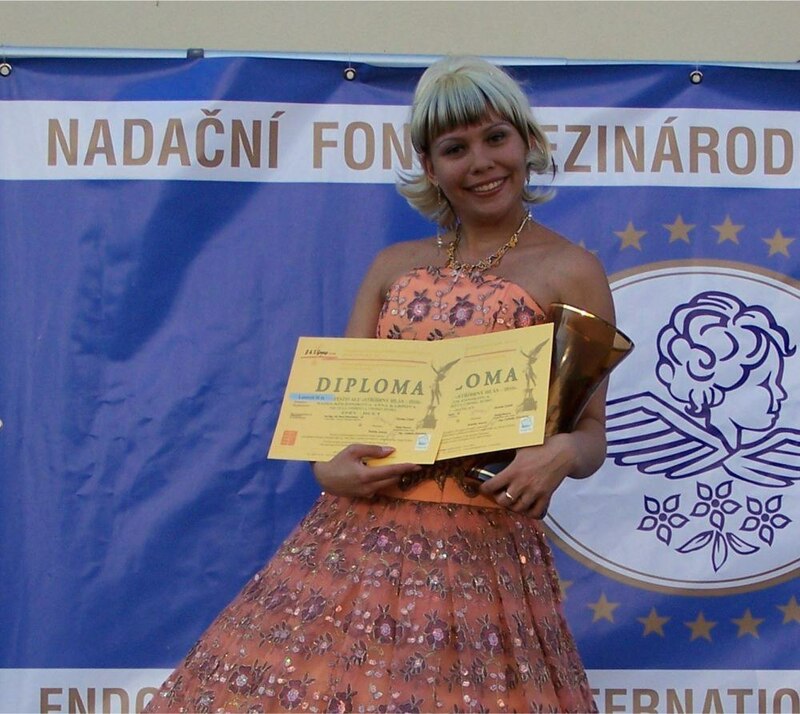 Nadezhda studied, and also trained with world-famous singers, such as: Monserrat Caballe (Spain), Éva Marton (Hungary), Luciana Serra (Italy). Currently she is working on vocal techniques with Brigitte Eisenfeld (Germany). Hope consults and deals with the great masters and performers of our time: Gianni Tangucci, Renato Bruson, Chris Merritt, Vladimir Fedoseev and Dmitry Kitaenko dr. Winner of the international contest-festival "The Sun shines for all", 2007, Sochi. For her achievements in vocal art she was awarded with the Order "Young talent of Russia" and a silver medal "National Heritage". She has performed in different countries with various concert programs, the public and critics have always praised her work. With incredible sincerity, the singer performs each piece of her concerts, literally getting used to the character's image . Such highly professional and extremely sincere execution does not leave any spectator indifferent.